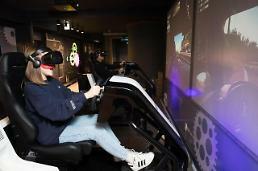 BARCELONA -- KT, South Korea's top telecom company, showcased a 5G-connected autonomous robot designed to carry out hotel chores such as delivering amenities and food, at MWC, a mobile device exhibition in Spain. The robot will be put into service this year at a hotel in Seoul. At its MWC booth in Barcelona, KT demonstrated how its hotel concierge robot called "5G AI Hotel Robot" worked. When a visitor orders room service using GiGA Genie, the company's artificial intelligence (AI) voice assistant speaker, the robot navigates to deliver room service. Robot makers including South Korea's Yujin Robot have commercialized autonomous service robots ideal for delivering food and medicine at hotels and hospitals, but many are connected to the main server via local wireless networks such as WiFi. Autonomous service robots are capable of using elevators and navigating around a complex of narrow corridors and doors. KT said it applied 5G technology to its hotel concierge robot because AI robots sometimes need to download large-sized map data. The 5G mobile network provides a stable and fast network connection. KT's robot also adopted self-developed technologies such as 3D space-mapping, autonomous driving and AI camera recognition. 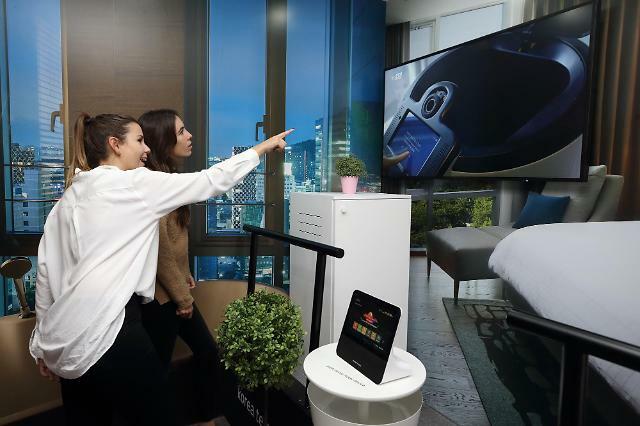 "Based on AI hotel robot technology introduced at MWC 2019, this year's goal is to draw a successful case in robot market, which is still in its early stages," KT's chief technology officer Jeon Hong-beom said in a statement. KT will begin the commercial service of its AI Hotel Robots this year. 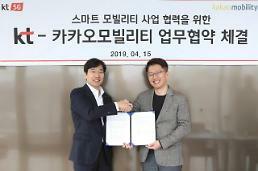 The first robot will be deployed at Novotel Ambassador Seoul Dongdaemun Hotels & Residences, a hotel and residential building in Seoul. According to Markets and Markets, a global market research company, the global service robot market would grow fast to reach $23.9 billion by 2022.